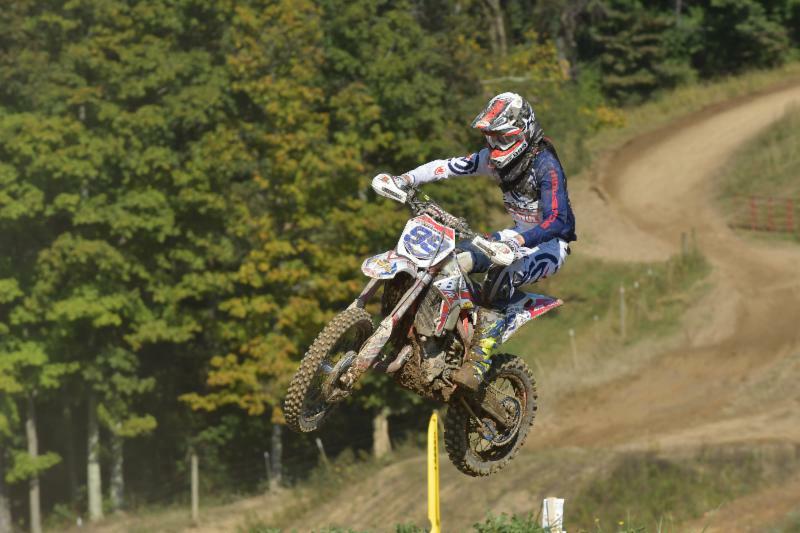 -Newly signed Cody Barnes raced his Beta 125 RR for the first time this season in a GNCC event. Barnes placed 4th at round 11 and is currently in 4th place in the XC3 class points standings. -Mike Witkowski finished in 5th place aboard his 250 RR Race Edition, and is currently in 9th place in the XC2 class points standings. "I started off with a second place start and was able to get in the lead within the first 3 corners. I lead the whole first lap and was feeling awesome on my Beta 125 RR. I was battling for first place during the second lap, but sadly on the 3rd lap after I made the pass for the lead I made a mistake. I ended up taking a bad crash on a straightaway and ended up hurting my right shoulder. By the time I got going again I was battling for third. I tried to keep pace to salvage a podium position but with my shoulder hurting I was making a lot of mistakes. I was forced to back down my pace to prevent any other injuries due to crashes. I ended up finishing 4th for the day." "The Mason Dixon GNCC track got a lot of rain during the week which made for a tough race. My Beta 250 RR handled the track with comfort all day. I ran 4th in the XC2 class most of the race until about two laps to go. I gave it 100% and didn't leave anything off the track. Some minor mistakes pushed me back to 5th in class for the day and 12th overall. One of my best rides this year. I really wanna get on the podium, I know we will get there before the year ends."